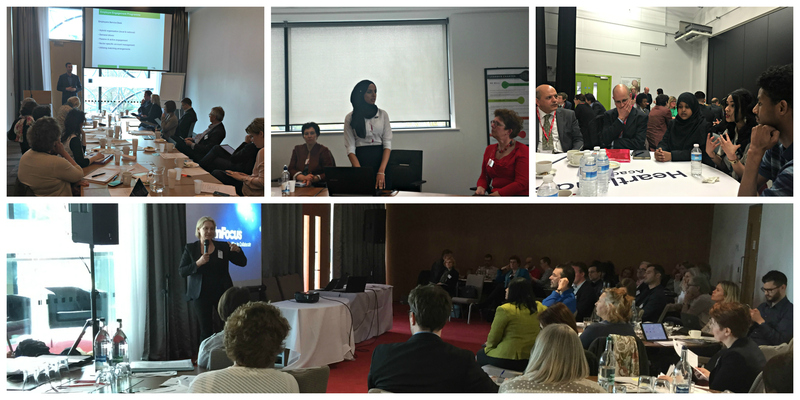 A EUROCITIES meeting hosted by Birmingham City Council on 15 – 17 April 2015 was the first event bringing both the EUROCITIES Education and the Employment working groups together. Its purpose was to better understand the challenges, issues and solutions related both to the education and employment such as poverty or the reasons behind the large number of people not in employment, education or training (NEET). The meeting programme was designed to particularly look into transitions from education to employment as the points where these challenges affect one individual’s future. During the three days of the meeting, officers from 18 cities across Europe had the chance to see, analyse and debate these issues. The first day was designed to set up the context and introduce Birmingham education system and some of the most pressing employment challenges. During the second day, the European participants were invited on a number of study visits to Birmingham schools including Aston University Engineering Academy, Heartlands Academy, Wilson Stuart Special School, Waverley School and Waverley Studio College. In addition to these, one visit was organised at South and City College, and one at Midlands Heart. The visits were led by Birmingham City Council but it was the schools and providers who organised programmes and activities for the EUROCITIES members. The visits were versatile and their purpose was to demonstrate different pathways to employment young people can follow depending on the type of education they are pursuing. Aston University Engineering School and Heartlands Academy’s visits gave participants the chance to see two outstanding schools working with students from disadvantaged social and economic backgrounds both located in one of the most deprived areas of Birmingham (Nechells). It was particularly impressive to see the partnerships both schools have with local and national businesses. These strong links give young people future opportunities in engineering and growth sectors and make them gain the valuable experience of working within a company. Waverley School and Waverley School Studio College are two outstanding schools located on the same campus in Birmingham. They both offer education for 4-19 year old pupils from minority ethnic groups. The visit was an opportunity to understand the strong links both schools have managed to establish with local businesses and how these links translate into vocational opportunities for their pupils. During the visit, participants had a chance to speak with some of the students as well as employers. They also had a chance to hear about the very successful Make the Grade programme that has recently been trialled across Birmingham. South and City College’s visit gave a perspective into the Further Education sector through construction skills. Participants were invited to the newly opened construction campus in Bordesley Green (one of the deprived areas of Birmingham) and had a chance to interact with students, tutors and businesses invited to the meeting. The meeting was designed to answer the question on how children after the age of 16 are advised on their employment opportunities. Wilson Stuart Special School and College is a school for children with special needs and provides education for 4-25 year olds. The visit demonstrated that children with Additional Needs can be successful in training and can be considered for work placements. A number of very powerful testimonials were given on the day by students who went through training and placements. Midlands Heart’s visit showcased the very successful Back on Track Programme and Youth Offending Service (YOS) local offer. This visit focused on the young people between 18 and 25 years old from marginalised groups and those who have fallen off the system. Midland Heart Team explained the process they used in the past and what they are doing now to engage with their client group to offer them new opportunities within the education or employment systems. After the visits, each group analysed and debated in detail the issues and successes of all the providers and shared their perceptions with the rest of the EUROCITIES delegates. Schools and providers were also invited to the debate and had a chance to contribute to the analysis as well as suggest ways of how their work could be more supported by Birmingham City Council. The cultural differences and the diverse employment and education national systems were definitely an asset during the event and led to interesting debates. It helped to raise new ideas and compare challenges and solutions both in Birmingham and the other European cities. All participants believed it was an extremely worthwhile event and they look forward to more exchange opportunities in the future. EUROCITIES is a European network providing a platform for its member cities to share knowledge and ideas, to exchange experiences, to analyse common problems and develop innovative solutions, through a wide range of forums, working groups, projects, activities and events. EUROCITIES is also a network that brings together local authorities of more than 130 large cities in over 30 European countries. Birmingham has been a founding member of EUROCITIES and is an active participant of several of its forums and groups.